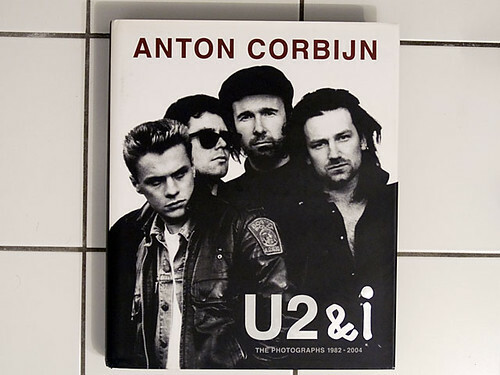 Although I wouldn’t strictly describe Anton Corbijn as a music photographer, even though it was where he started, his photography has always been a huge inspiration and has a large part to play in me wanting to do music photography. The cover for ‘The Unforgettable Fire’ always mesmerised me as the photography was just so beautiful (I realised later when I started getting into photography properly that it was done with black and white infrared film), even though half of it is blurry and out of focus. And the same with the ‘Joshua Tree’ album artwork photos; they were (and are) amazing. At that first gig, by the time that I went to get a t-shirt they had sold out, so I ended up getting a programme, which was full of other photos that were taken when they were out in the desert doing the photos that ended up on the album artwork. So my first bit of proper band memorabilia was a book of photos. Although I still have that program, I treated myself to a more up-to-date and flashy version a couple of years ago and bought his book ‘U2 and I’ as a birthday present to myself. I’ve always liked the simplicity of his photos; there’s nothing complicated or flash about his images, there’s no use of elaborate props for the most part. There’s also a seriousness about his images and if photography is about stealing people’s souls I don’t think anyone does it better than Anton Corbijn. I’ve also always liked his use of individual portraits of band members and also his use of alternate printing processes, especially his use of lith printing, both of which I’ve looked to take into my own photos. On their last tour I was offered the photo op to photograph U2 when they played in Brisbane. However, this opportunity was emailed me and I only had a 20 minute window to get back to them to say if I was available to do it. I was at work but away from my computer and by the time I got back I was too late; the chance had been and gone. It was a really devastating experience. I’d waited 20 years for this – the chance to photograph the first band I really got into, the first band I saw in concert, and whose photos had been hugely influential on my photography. What was especially depressing about the whole thing was that the publication who offered it to me had my mobile number and had used it previously to contact me about things like photographing The Presets. Yet they offered me the opportunity to photograph just about the world’s biggest band, took the chance that I would be sat in front of a computer and able to quickly respond, and so emailed me. This entry was posted on Thursday, July 10th, 2008 at 12:23 am. 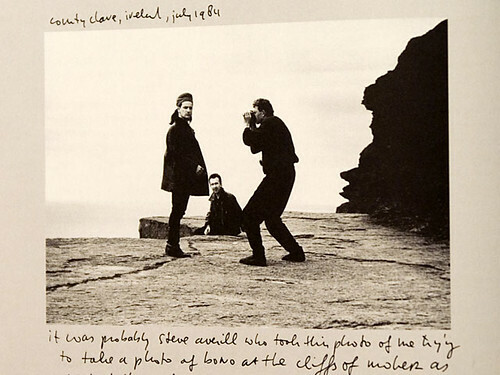 It is filed under Music Photography and tagged with Anton Corbijn, Joshua Tree, Justin Edwards, lith, Masters of Music Photography, U2, U2 and I, Unforgettable Fire, www.notaphoto.com. You can follow any responses to this entry through the RSS 2.0 feed.